by Don DeLillo Author · Rachel Kushner Author of introduction, etc. He speaks in your voice, American, and there's a shine in his eye that's halfway hopeful. It's a vast and sprawling crowd that comes together to watch the Dodgers-Giants 1951 National League Final, and when Bobby Thomson hits the Shot Heard Round the World and wins the pennant race for the Giants, ripples are formed in the heavy undercurrent of time. Meanwhile, on the other side of the planet, another historic shot is fired: the USSR's second atomic detonation. And so Underworld follows the threads that link a symphonic cast of characters: men and women, together and apart, whose search for meaning, survival and connection will spill out over decades. 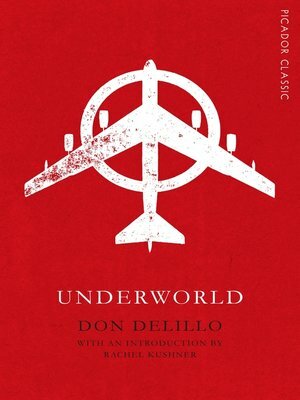 Underworld is Don DeLillo's masterpiece, a novel of intense ambition and soaring architecture, and a panoramic vision of America set against the overarching conflict of the Cold War. It is awe-inspiring storytelling and an undisputed modern classic.